After the release of Odin Sphere Leifthrasir in Europe on June 24, 2016, NIS America has announced that they will not be publishing Atlus games in Europe from then on. 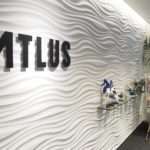 NIS America MD Takuro Yamashita has stated to MCV that ever since Atlus was purchased by Sega in September 2013, they have experienced problems working with Atlus to publish their titles over in Europe. 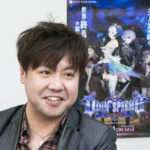 “Around ten days ago, we terminated our alliance with Atlus in Europe and the US,” Yamashita told MCV. 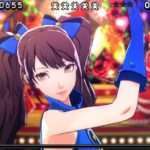 “Atlus became very picky about selecting the European publishing partner after it was bought by Sega. It always cherry picked its EU publishing partner based on who offered the highest minimum guarantee on a title by title basis. I noticed that it was very difficult for NIS America to establish an equal-partnership with Atlus. The termination of their alliance also means that NIS America games will no longer be distributed by Atlus in North America, as they have been in the past. While games like Disgaea 5: Alliance of Vengeance and Danganronpa 2: Goodbye Despair were published by NISA in North America, Atlus had served as the distributor for retail channels until now. 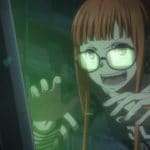 Previously, NIS America has released Atlus games including Persona 4 Golden, Etrian Odyssey Untold 2: The Fafnir Knight and Persona Q: Shadow of the Labyrinth in Europe. The final Atlus game they will be publishing in the region will be Odin Sphere Leifthrasir on June 24, 2016.